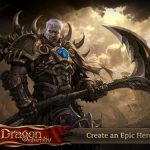 Forsaken World Mobile MMORPG by Fedeen Games Limited is just as the title says it is, a massively multiplayer online role-playing game that takes place in the Forsaken World PC franchise’s universe. 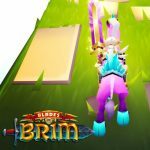 While you’ll still be completing dungeons, training pets (“mounts”) and slaying monsters and their bosses for their loot, the difference here is the social element. We’re talking player-vs-player mode and the ability to interact with other players – it’s all an essential part of this mobile title! You’ll also need to be on iOS 6.1 or higher and constantly be connected to the Internet in order to play this iOS-only game. Playing against other real-life players can be a whole lot of fun, but it can also be frustrating to play a brand new RPG and not quite know what to do. 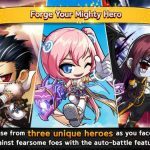 So if this is your first time playing the game, read on and enjoy these Forsaken World Mobile cheats, tips and strategies that could help you get adjusted in this game, while succeeding. As you will eventually discover, there are different ways in which you can level yourself up, including fighting the battles automatically. For starters, you may have characters that automatically turn into animals (e.g. Lycan), thus enhancing their attack power and making it easier for them to battle against bosses. Lycans are great in automatic battle, and are great additions to your team when you’re “botting,” or playing out the battle automatically. When botting, there are different tactics you can employ, and a lot of it boils down to tweaking your settings a bit. Go to your settings and you’ll see options for using your EXP skills or not using them, or for auto-accepting invitations from other players. For the latter, we recommend turning this setting on, as the social element in this game is really, really strong. Quests can get you through the story’s natural progression, and they can also help you level up big-time. Complete quests and you’ll steadily level your way up. And if they aren’t any, then strike up a conversation with the non-playable characters in town. Most people in town will have some quest or another for you to pull off, so keep on talking. May it be Wi-Fi or data, your gaming experience will be much smoother if your connection is good. 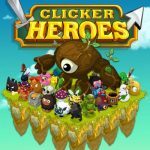 If you’ve got a bad connection, auto-populating could cause the game to lag, or for your path to be arbitrarily cancelled. If you play the honest way and you’ve got the option to auto-accept invites is on, you can potentially make a lot of friends simply by playing Forsaken World Mobile. But you can also head to comments pages or review pages if you want to add more people. Either way, you’re on the right path to starting your own guild. You can also meet people at random through the game’s chat feature.